What is MAGIC MILLIONS RACE SERIES? What is INGLIS RACE SERIES? 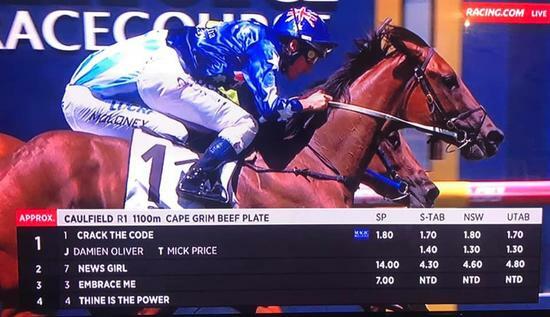 The Mick Price trained filly, Crack The Code carried the Australian Day silks with distinction at Caulfield today, recording her third career win from only four lifetime starts. Her three wins at Flemington, Moonee Valley & Caulfield already make her a very valuable broodmare when her racing days are over. A very promising 3YO daughter of I Am Invincible, should the stable plans of adding black type to her resume come to fruition, her value will soar again. Today she was three wide without cover, but the beautiful hands of Damien Oliver kept her in rhythm and although it was a narrow win, it was with authority. We are loving the work of Mick Price and his stable - Mick is a wizard with young, bred for speed racehorses. This is the reason we have a Sepoy filly (Loudspeaker) with the stable as well as another already fully subscribed I Am Invincible x Live And Dream filly from the recent Magic Millions Sale on the Gold Coast. 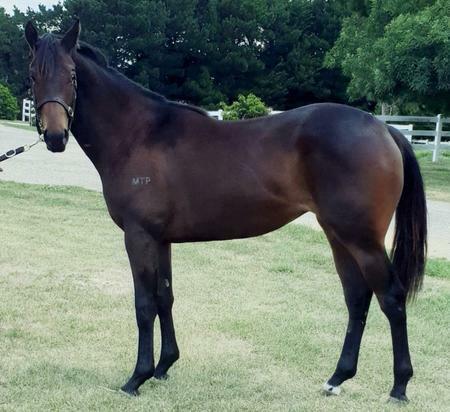 But don't despair if you want to join the ATB/Mick Price partnership as we still have 50% to sell in this beautiful homebred Exosphere x Burndiniburn yearling filly. $4400 / 5% all costs included until Dec 31st, 2018. If you have ownership in a nice filly you can reap the rewards of residual value as well as prizemoney earned. In you want to get involved in the Exosphere filly, ring Darren 0417 616 666 or Peter 0428 378 049 - her breeding is speed on speed! You can also return email for more info. She heads to the breakers in ten days time. Watch the video by clicking here. Receive the latest news from ATB. ATB-TV as a free service for our owners and readers to provide a more personal touch, especially for those owners that live interstate or overseas.